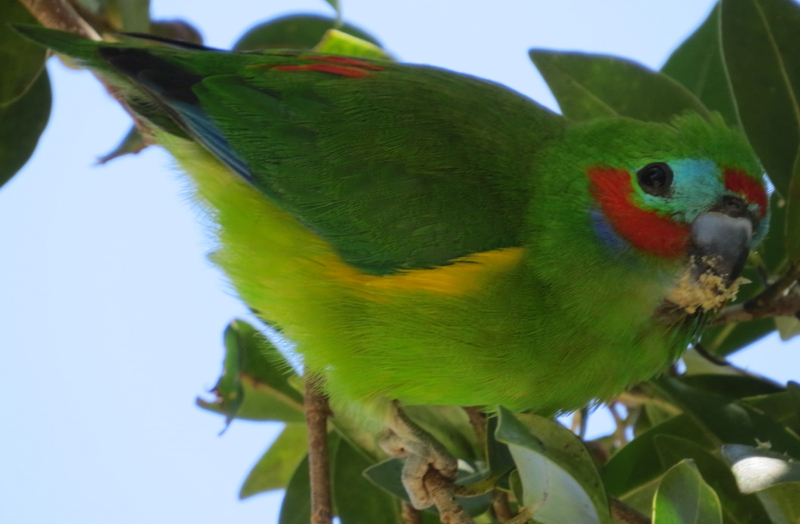 One of the 3 Australian subspecies of double-eyed fig-parrots (Cyclopsitta diophtalma, ssp. maclayana) is quite common in our region, but often difficult to observe. Mostly, you see them flying fast above the rainforest canopy, often giving a sharp, high-pitched call. They sometimes feed in the trees on our property, and you can hear their soft contact calls. 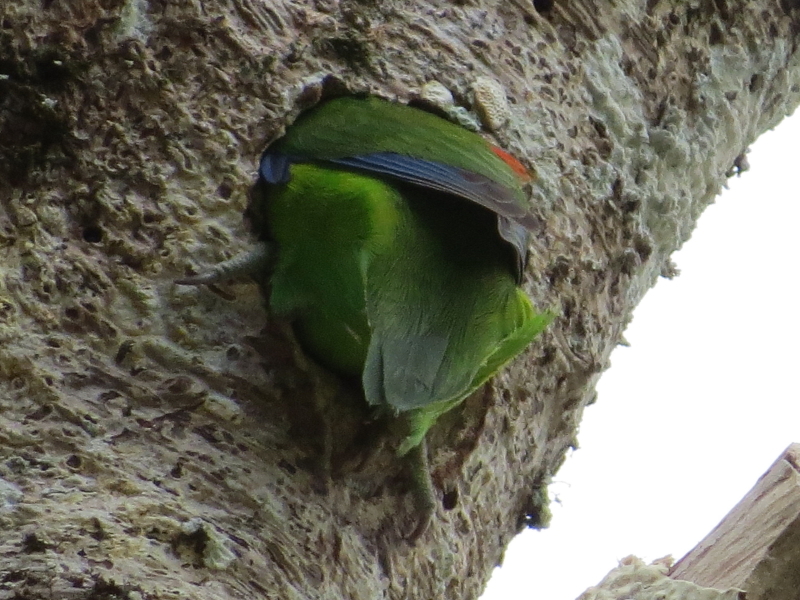 Occasionally, they inspect tree hollows in larger, dead tree-tops and branches for potential nesting sites, sometimes enlarging the cavity by chewing into the wood. Kuranda’s village centre has many large fig trees, a lot of them the small-fruited Ficus benjamina. 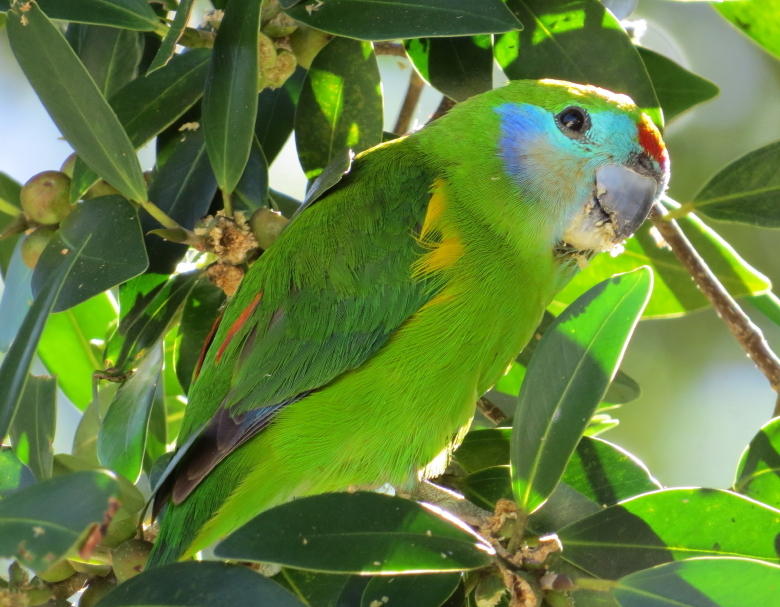 Most of them are fruiting now, and I had the opportunity to observe a flock of more than 20 fig-parrots feeding there. Sometimes they even scurried to the lowest branches, only 2-3 metres above the ground, munching figs, completely oblivious to any observers. 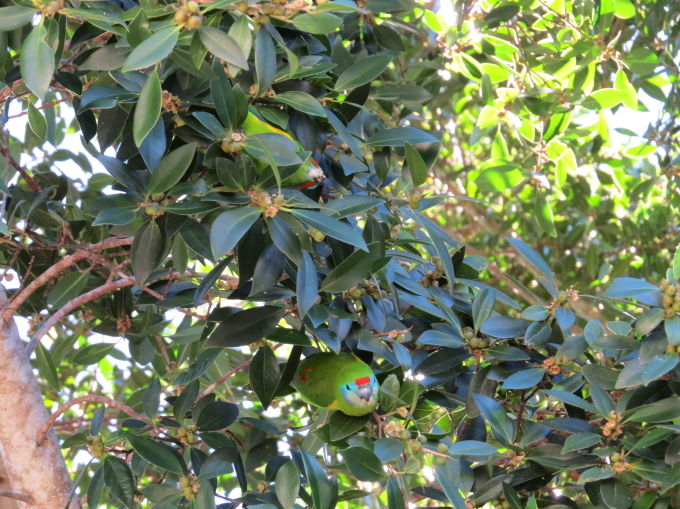 It is a delightful experience to be able to watch these tiny, endearing parrots at such close range!